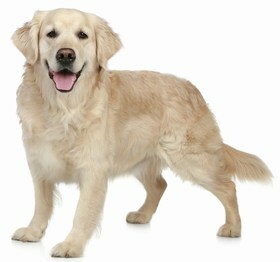 The Goldador is a cross between the Golden Retriever and the Labrador Retriever. 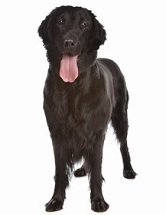 Like all hybrid breeds, he is less prone to hereditary health problems than his purebred counterparts. 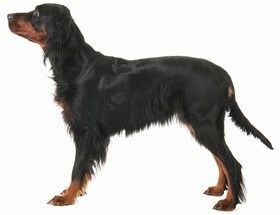 However, there is the possibility that he can experience health issues affecting either of his parent breeds. Joint problems such as hip and elbow dysplasia may affect the Goldador. Both of these degenerative conditions result from malformed joints and can lead to discomfort, pain, and limping. In more severe cases, arthritis or even lameness can occur, and surgery may be required. Although hip dysplasia is hereditary, it can be triggered by excessive weight gain or injury. While your pup has still-developing joints, monitor his activity and ensure that he does not jump excessively or run on floors that are likely to cause slippage. Dogs with hereditary joint conditions should not breed, so ensure that your puppy’s parents have no history of these issues. The Goldador may also encounter eye problems such as Progressive Retinal Atrophy (PRA) and cataracts. PRA is the gradual degeneration of the retina, ultimately resulting in failed daytime vision. The progressive nature of this condition allows affected dogs to adjust to their failing vision. Although there is no treatment or cure, dogs with PRA typically continue to lead full lives. Diabetes can also be an issue for Goldadors. Symptoms of diabetes include excessive urination and thirst, increased appetite, and weight loss. Diabetes can be treated with diet management and daily injections of insulin. On average, the lifespan for a Goldador is 10-15 years. Although Goldador temperament can vary, since he may take after either of his parent breeds, he is generally loving, devoted, friendly, and easygoing. He is also an energetic and lively dog who thrives on human companionship. The Goldador can live in an apartment if he is sufficiently exercised, but a home with a securely fenced yard is ideal. He needs at least thirty minutes of exercise daily, and favorite activities include swimming and hiking. The Goldador can make an excellent jogging companion as well, so he is a good match for an active owner. 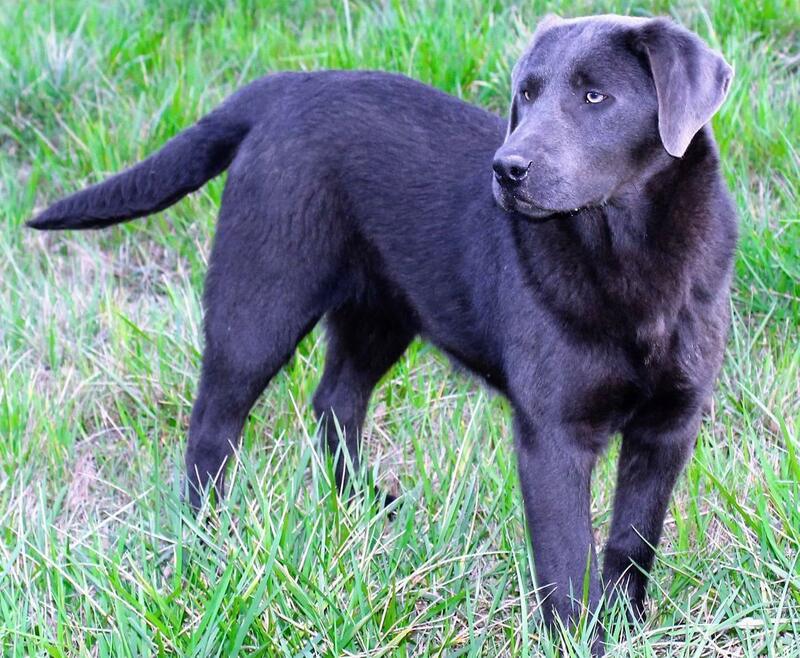 He is talented in a variety of dog sports and can be utilized as a hunting dog. The intelligent Goldador needs mental stimulation as well, which can be provided with training, interactive games, and puzzle toys. The Goldador should get plenty of time outdoors, but his home should be indoors with his family, where he likes to be involved in family activities and spend quality time with his people. He will become unhappy if left alone for long periods, and he prefers the routine and structure provided by family life. The tolerant, patient Goldador can be an excellent companion for children, but he may be overly rambunctious for toddlers. He gets along well with other dogs and pets, and he is typically friendly toward strangers. This disqualifies him as a guard dog, but he can make a good watchdog who will alert his family of danger. The Goldador tends to be a food scavenger who will pick up and eat essentially anything that he considers food, so keep food and food-like objects out of his reach. Watch what your Goldador is eating, including when you take him for walks. Training a Goldador tends to be somewhat easy since they want to please and are very intelligent. Use positive reinforcement like extra playtime, favorite treats, and encouraging verbal praise when earned. Be clear and consistent in enforcing your rules and expectations. This is a sensitive breed, so do not be overly harsh or critical, as this will cause him to lose confidence. If you keep sessions upbeat and positive, training your Goldador is likely to be an easy and enjoyable task. The Goldador is a moderate shedder who should be brushed weekly with a rubber curry brush. Bathe him as needed, and be sure to rinse and dry him thoroughly after a swim. Trim his nails at least once a month. He is prone to ear infections, so make sure you dry his ears thoroughly after swims and bath time. Check them regularly for signs of infection like redness, tenderness, and odor. Ensure that there is not excessive buildup of wax, dirt, or debris. You may want to clean them once a week with cotton dipped in a veterinarian recommended ear cleanser. Also, brush his teeth 2-3 times weekly to discourage bad breath and maintain good overall health. The average Goldador should consume 3.5-4.25 cups of high-quality dry dog food daily. He can become overweight easily, so ensure that you are not allowing him to overeat or scavenge excessive amounts of food. Remember that the best type and amount of food for your dog depends on factors like age, metabolism, activity level, and build. Ensure that your Goldador has access to clean, fresh water at all times, particularly in warmer climates. The average price for a Goldador varies widely, ranging from $500-$1,800. Pricing can depend on breeder location, pedigree, and gender. Ensure that you have found a reputable breeder by requesting health records and meeting at least one of your prospective puppy’s parents if possible. If you are able to adopt a Goldador, expect adoption fees to cost up to $175. Ranking takes into account a few basic factors including cost, skill level needed, high vs low maintenance and how critical regular training is to success. The Goldador ranks a 2. He is healthy, is good-natured enough to get along with most people and animals, and he is relatively easy to train. Although he has moderate exercise requirements, he can live in an apartment if he receives at least thirty minutes of exercise daily. He is also fairly low maintenance in regards to grooming and can make an excellent watchdog.